Certified Payroll Solution Computer Requirements - Sunburst Software Solutions, Inc.
A thorough review of the program by a Certified QuickBooks ProAdvisor, hiried by Intuit, who specializes in the construction industry - pdf download the ProAdvisor Review (284 KB) . 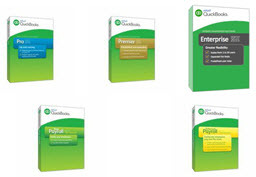 As an Intuit Premier Reseller, we can provide you with discounts on QuickBooks Enterprise Solutions, request a price quote for QuickBooks Enterprise and/or a price quote for QuickBooks Assisted Payroll - complete our document document Quote Request form (111 KB) as there are monthly specials. For QuickBooks Pro 99 through 2011, QuickBooks Premier 2002 through 2011, and Enterprise 1.0 through 11.0; payroll must be completed manually as Intuit no longer provides tax table service or subscriptions for these versions.